An injury to Luke Varney marred Ipswich Town's battling performance in the 1-1 draw against local rivals Norwich City in the first leg of their Championship play-off semi-final. Substitute Paul Anderson scored the equaliser for Ipswich after former Leeds United star Jonny Howson had fired the Canaries ahead. Anderson had replaced Varney, who appeared to sustain an Achilles injury. Ipswich are 1/1 to win Saturday's second leg at Carrow Road and 1/1 to be promoted from the Championship this season. We think Luke has snapped his Achilles. He's in bits, the poor lad. 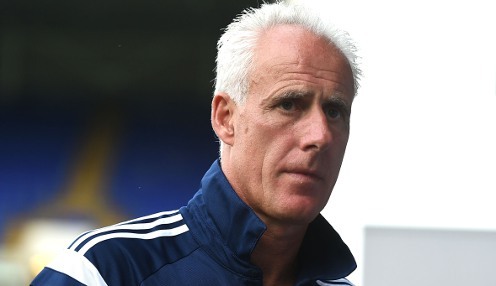 Ipswich manager Mick McCarthy said after the match: "I would say it was a terrific, hard-fought football match. When two teams are competing for a big prize it will never be expansive football. "I thought it was a good game, for us we'd like to be in front but there's no away goals that count. I've always been proud of my team, and to go behind when we were on top and come back shows everything that my team's about. "We think Luke has snapped his Achilles. He's in bits, the poor lad. For a lad who's come on loan, he's been great, so we'll have to look after him." Don't forget all of the fantastic markets we have to offer, including In-Play betting, can be accessed on mobile or tablet with bet365 On The Move. T & Cs apply.